More than half of all European businesses have suffered some form of disruption caused by a cyberattack over the last two years, new research has claimed. A report from Kaspersky Lab found that 54 percent of businesses have faced at least one cyberattack in the last 24 months which resulted in some sort of disruption in their activities. UK companies were found to be facing the highest risks, with nearly two-thirds (64 percent) of respondents confirming a disruptive attack during the past two years, with 45 percent of SMBs saying they had been hit. The report identified a number of worrying effects of cyberattacks, with the most common outcomes being service disruption (seen in 31 percent of attacks), data integrity issues (18 percent) and data loss (15 percent). The report also found that a quarter of businesses were not able to detect they had been breached, meaning they were not able to take action during the first few hours following an attack. 20 percent of attackers also left no clue to their identity, highlighting the difficulty of investigating such attacks. 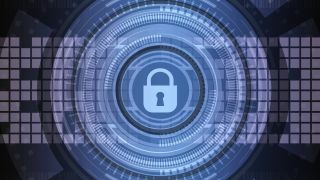 The threats to businesses are not expected to diminish either, with over one in five respondents (21 percent) say that the number of cyberattacks on their business has increased within the past 12 months compared to the previous year. “It is alarming that more than half of businesses across Europe have suffered cyberattacks recently, which managed to disrupt their operations or cause other kids of damage," said David Emm, principal security researcher at Kaspersky Lab UK. "The fact that the odds of a business falling victim have increased dramatically should act as a stark warning for business owners and ITDMs to strengthen their defences."